Sweden based Zimbabwean artiste Luckson Chikutu aka Manlukerz has dropped a video for the song ‘Good Boy’ off his last album Ndundu Madhaiza. The video shot in HD, showcases Manlukerz versatility as he combines singing and dancing. “The song is about being honest in life, I am preaching honesty in this song. Honesty is a virtue, but it is now rare in this world,” said Manlukerz from his Swedish base. 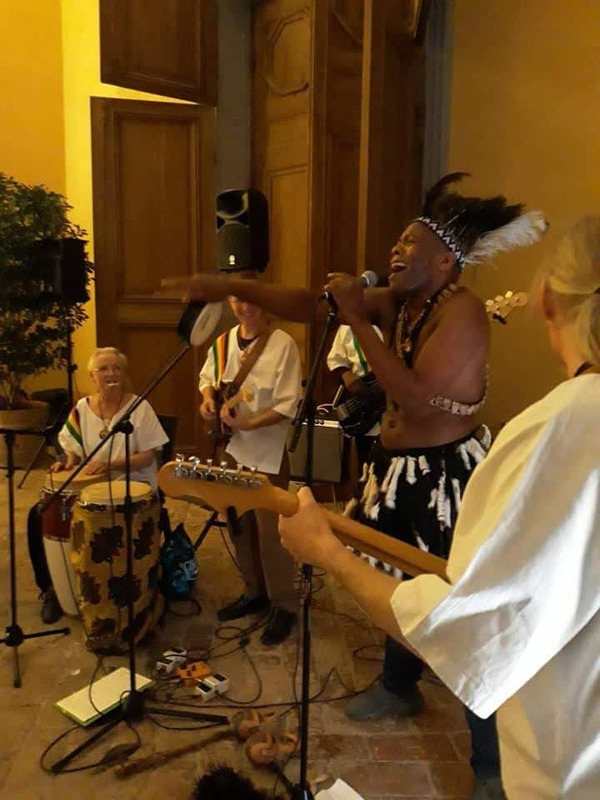 Probably, Zimbabwe’s most recognizable cultural ambassador in Sweden, Manlukerz has worked tirelessly for more than twenty years promoting Zimbabwe’s culture in Europe. He has traversed Europe conducting workshops in schools about Zimbabwe’s tradition and music instruments such as Marimba. Last year, in a bid to preserve the rich Shona culture, the cultural activist published a book titled “Flashback Identity”. The book which was published in Swedish is now being translated into English. Popularly known as Manlukerz in the entertainment industry, Chikutu says the book is a bridge between cultural and generational gap. “After a long period of persistent writing and endless patience, finally came the result, a book titled ‘Flashback Identity’. The writing of the book has been a long journey with positive insights I received and a high ambition to write about my family’s history, the cultural heritage I learnt when I was growing up. The book also captures how music and dance are used to influence humanity in Zimbabwe,” said Manlukerz. Manlukerz’s hope is that the book be used in schools to teach pupils about the rich cultural heritage of Zimbabwe. “I really want the book to be used in schools. This is my small contribution to Zimbabwe,” he said. He is also the founder of the annual Zimbabwe Music Festival Bira (Zimfebi) Zimfeb, which was formed in April 2007 is now an annual event. The festival’s objective is to bring people together through celebrating cultures from different parts of the world. It also aims to promote awareness through music.